After a week of contemplation during holy week, people will celebrate on resurrection of Jesus. This is what we call Easter Sunday. Children are important on celebrating this feast because they present joy and laughter with the family. The parents are making a big preparation by collecting eggs and coloring them with different designs. They also have to plan and buy ingredients for what they’ll have to eat for supper. 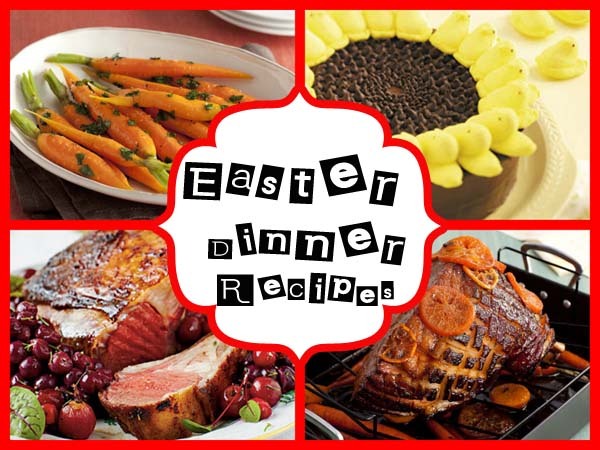 Meanwhile the children look forward to the Easter dessert recipes served on the table after hnting. 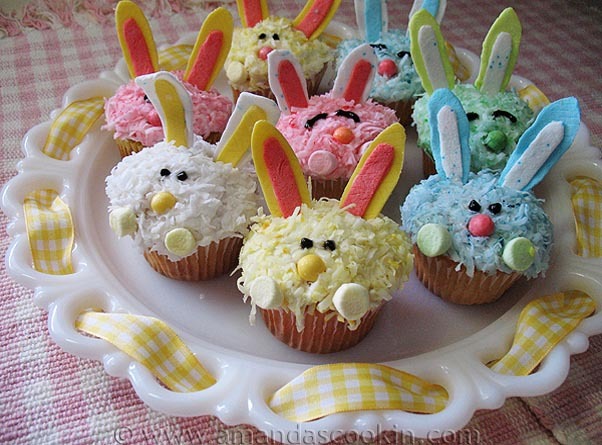 Most of the Easter desserts are decorated with egg or rabbit. Egg and rabbit symbolizes fertility. 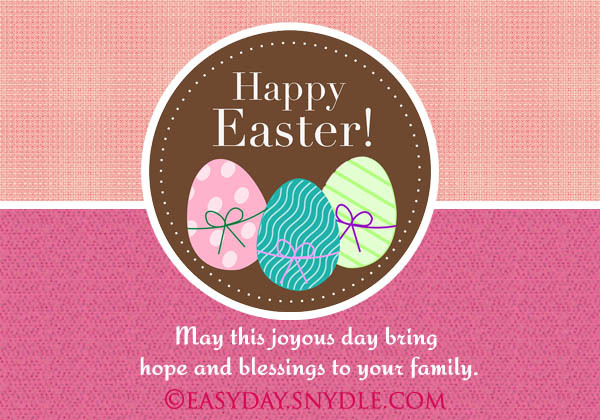 Why is Easter egg hunting important? There was a German tale that started in 1682 about a rabbit that brings basket with eggs and candies to the homes of children. From then on, the tradition was passed on from generation to generation. 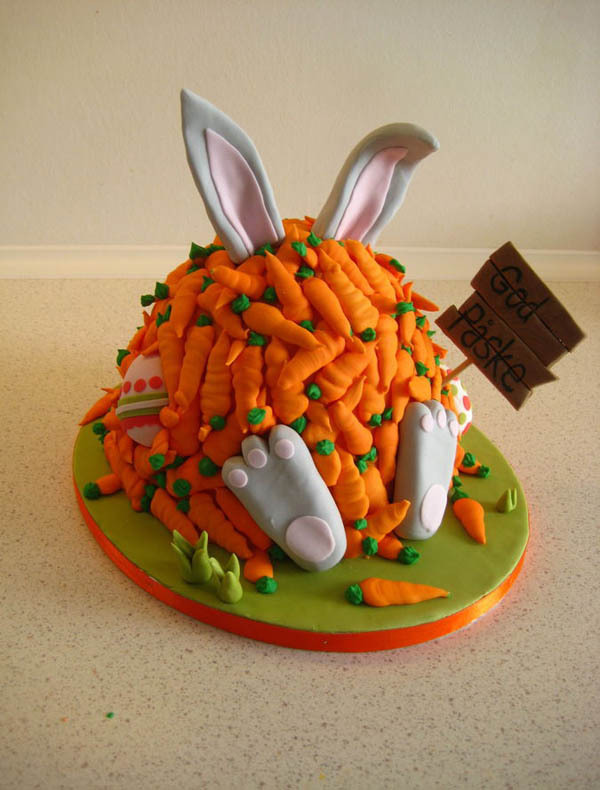 Create a little trick by creating a bunny out of a cake. 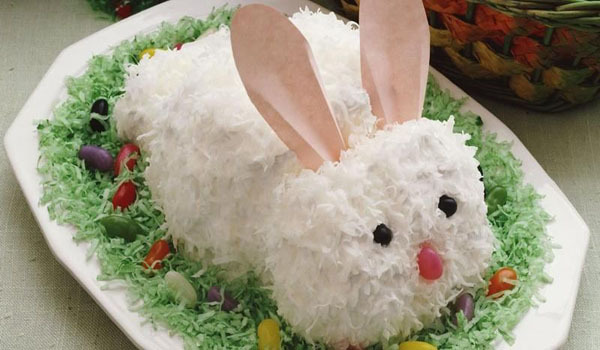 The cake amazingly imitates the image of a bunny including its fur. Making it look like a real life bunny on a plate. 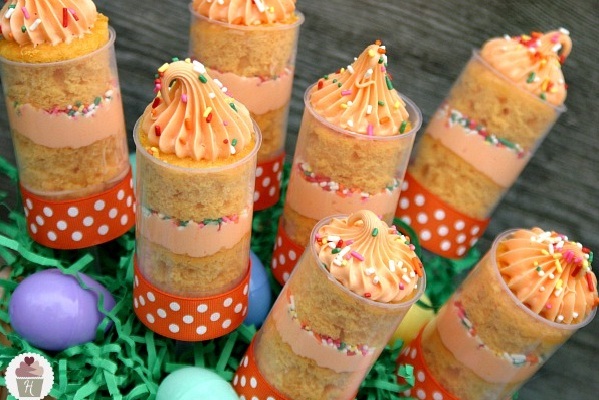 For peanut butter lovers this yummy yet easy Easter dessert recipe is perfect for you. This recipe molds the mixture of peanut butter and chips into a round shape. 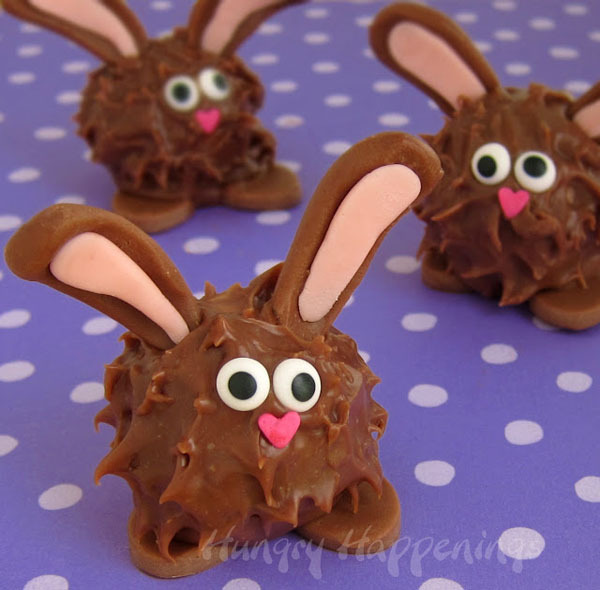 Then it is coated with milk chocolate and designed to look like an Easter bunny. More and more cupcakes will be presented to you. This time it’s about cupcake bunnies with different colors and eye expressions. Give a nice smile when you give it a bite. 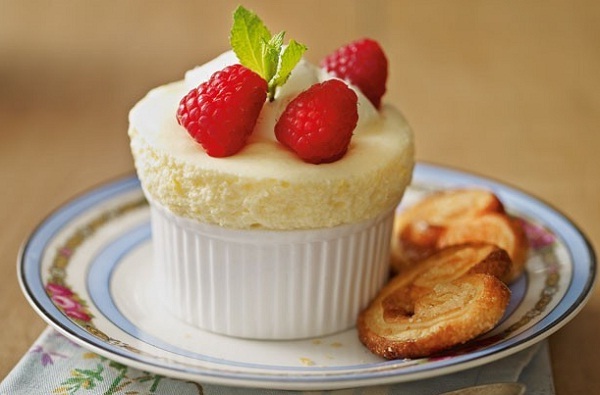 Sweetened pudding couldn’t be more irresistible. 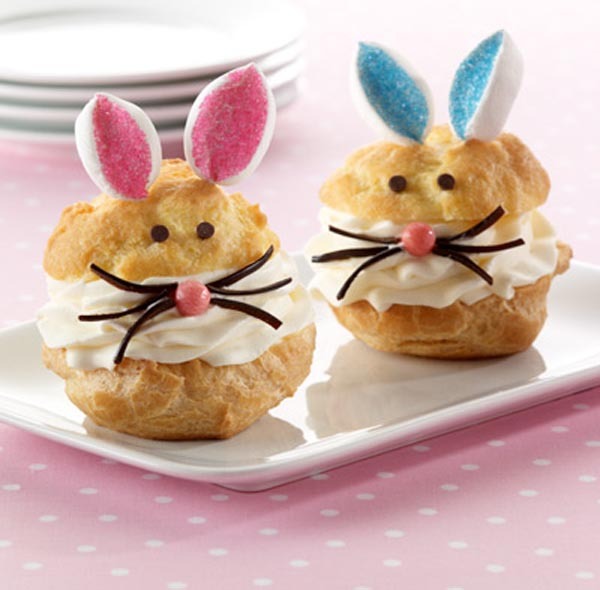 Turning it into cream puffs and decorates it with whipped cream and marshmallows. Make sure to bake more than enough because they’ll surely eat more than you can think of. Have fun with your children and ask them to help. They’ll surely enjoy cutting and decorating marshmallows on stick. Then you can stick it on a Styrofoam or let it stand in a bottle. 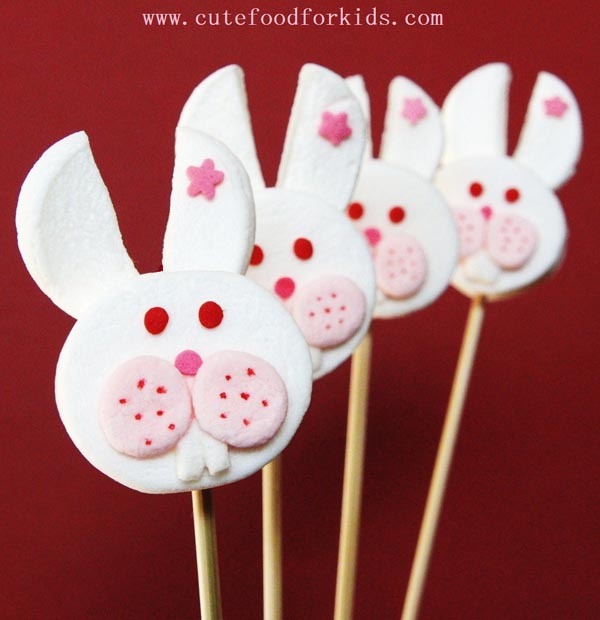 Display it on the table so that their friends can easily find the bunnies you made. Want to encourage planting? 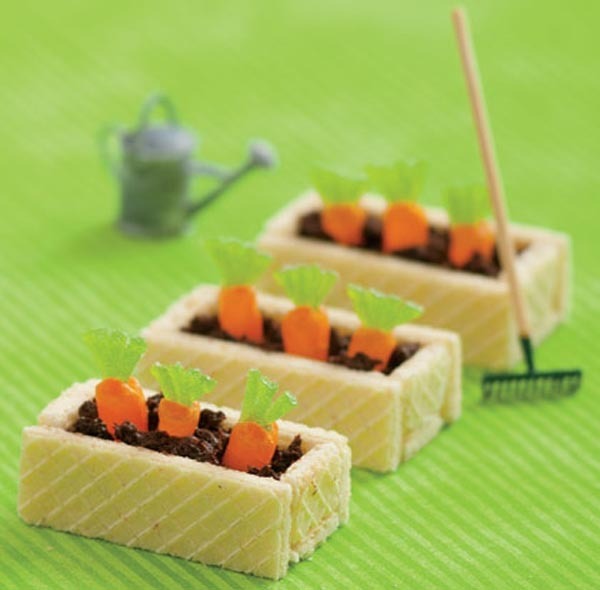 Carrot Patch Cookies are sure to let everyone know about your endeavors this Easter. The wafers are carefully placed on the plate to serve as a stand. It is filled with chocolate crumbs and frosting similar to a soil. And the candies are designed like a carrot. Enjoy eating it. Some children do not like eating vegetables. This is a sure way to encourage them vegetables taste really good. 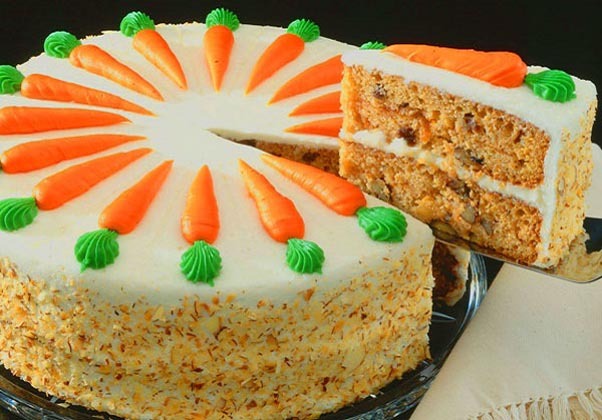 Let them enjoy this healthy carrot cake and change their ideas about vegetables. Everyone’s looking for their Easter Bunny egg. But this time they’re not only looking for the eggs but also their nest. Because they will give a big bite to this sweet nestled egg. 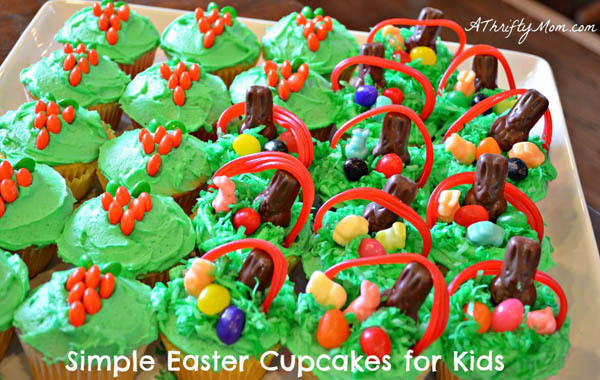 Green Frost cupcakes for Easter decorated like a basket. The basket cupcake contains jelly beans and chocolate bunny. Everyone have to get this Green Frost cupcake for this Easter. This alluring cake is easy to make. A recipe created for on the go people. 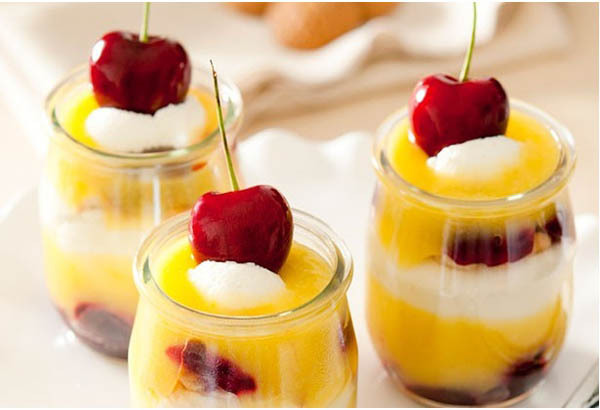 Cherry and lemon triples can finish the Easter with splendid taste. 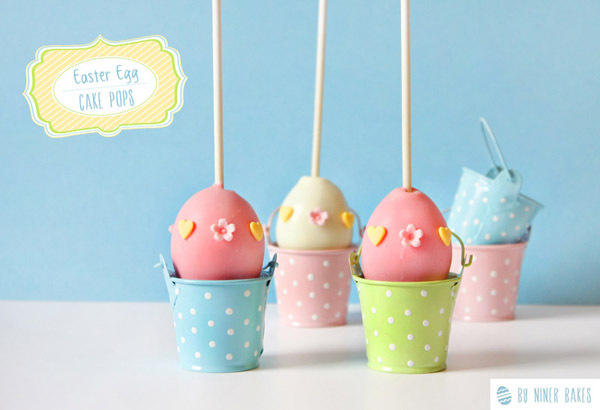 Taste the crisps of these cute eggs. They are made from Rice Krispies and marshmallows. It is colored with sweet sprinkles to attract your eyes. This is a mini cake for a special occasion this Easter. Topped with strawberry and whipped cream. Enjoy the delightful experience once you have tried this. This chocolate is not the ordinary bar that you’ll taste. It is cracked into different sizes and shape. 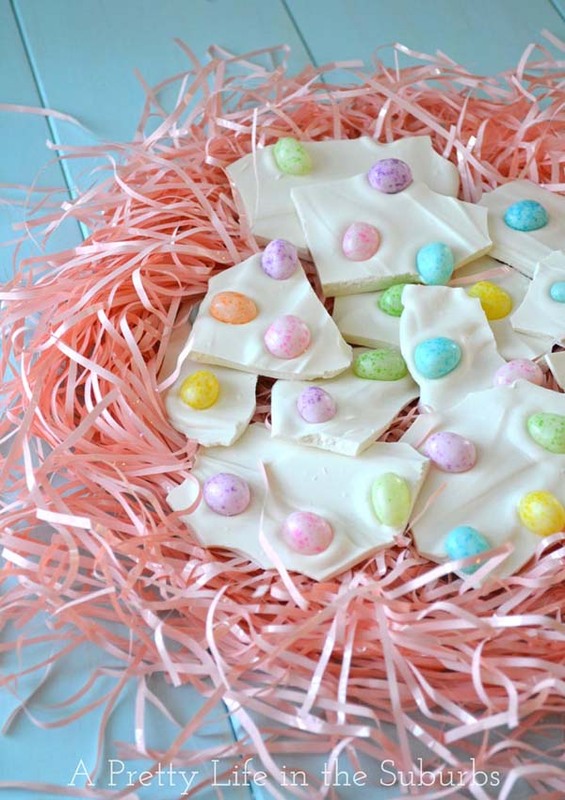 Decorated with Jelly beans that looks like an Easter egg. Catch them before they hatch on their cute nest. 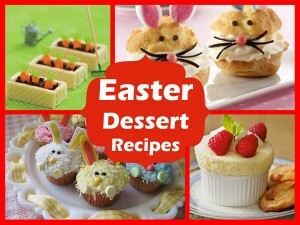 This yummy Easter desserts recipe can bring you luck while looking for your Easter egg. Just wrap it and keep it on your pocket or bag when you’re hunting for eggs. The delectable taste will help you find your Easter egg. Do you want a lollipop? 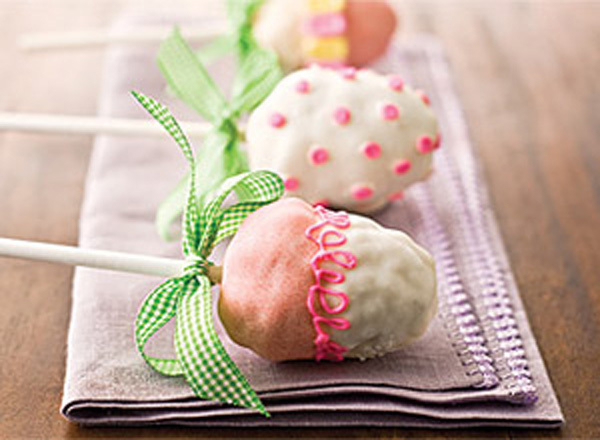 Try this new cake pop available in different bright colors. It is shape like a big egg so you will surely fill your hunger for sweets. 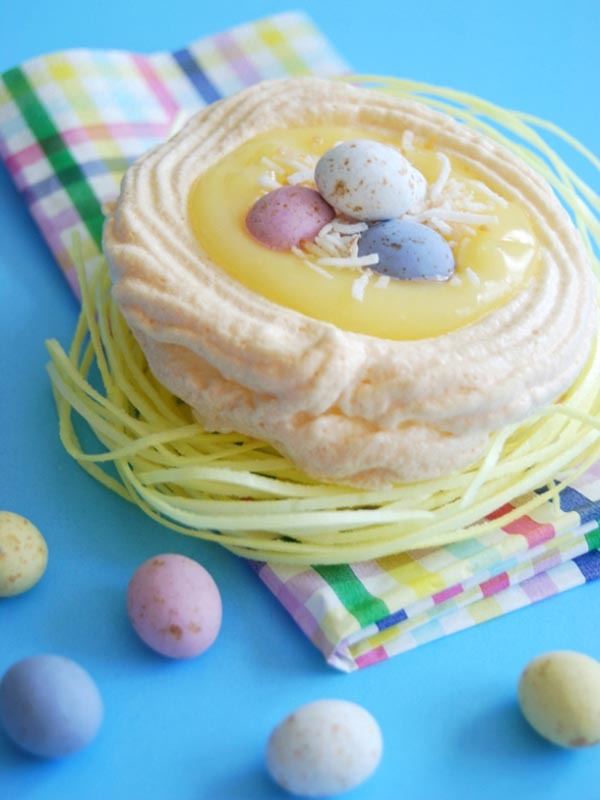 These adorable lemon meringues are soft and sweet. They have lemon custard surrounded by pink nest made of whip cream. The jelly bean decorated on top like an egg waiting to be hatch. 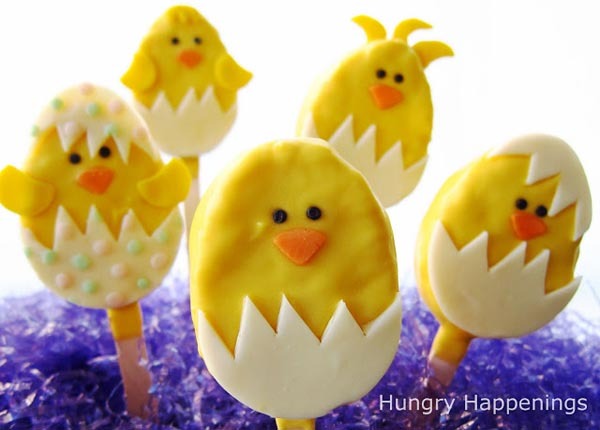 The yellow colored Easter desserts for kids are great for this Easter. It is easy to bite because it has a soft texture of a cake. 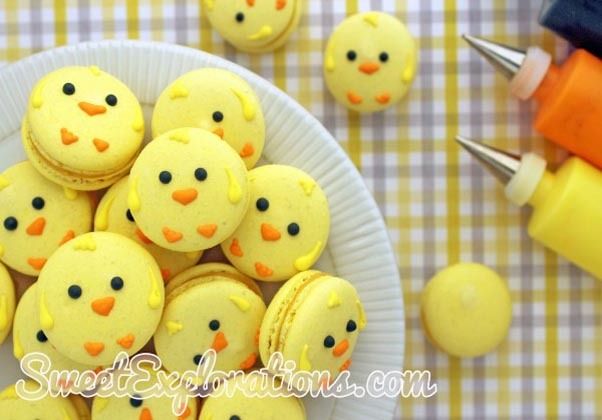 Get ready to indulge the Lemon Chick Peepers. 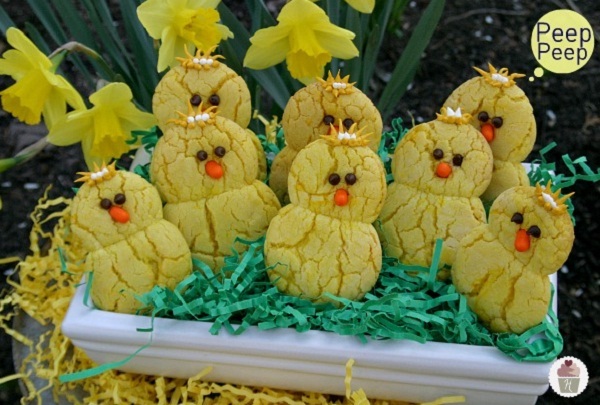 A combination of Flower Pot Pie and Honey bees is made to celebrate Easter. 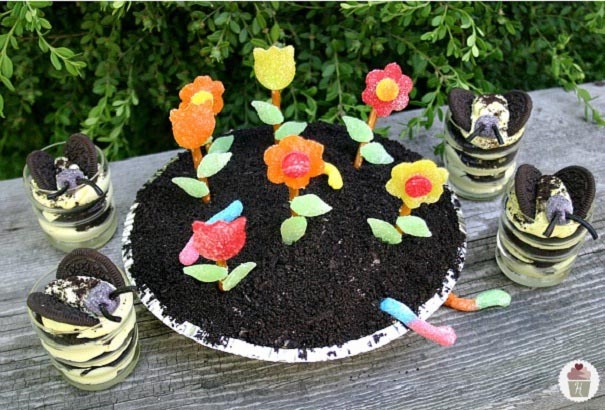 The chocolate cake has gummy lollipop sticks that kids can enjoy. The kids won’t avoid the honeybees because they will eat it instead. 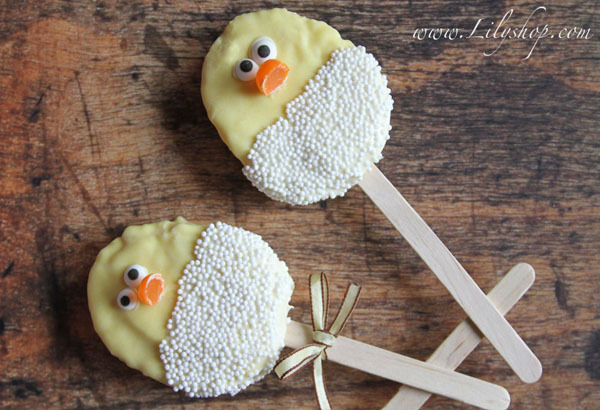 More chicks will delight your Easter with this Easter Rice Krispies Hatching Chick Pops. It is crunchy and it is flavored with a sweet chocolate. 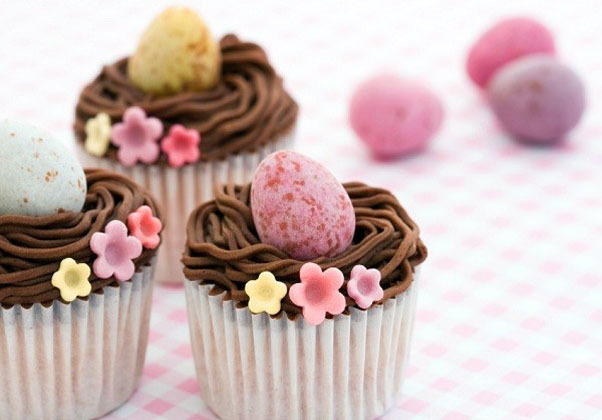 You won’t resist the fun of eating this yummy Easter treats. Look at that Orange Creamsicle Push Up! Sure you will love the contents because it has two cup cakes and an ice cream. It is whipped on top and refrigerated to give you a cool tasty Easter. 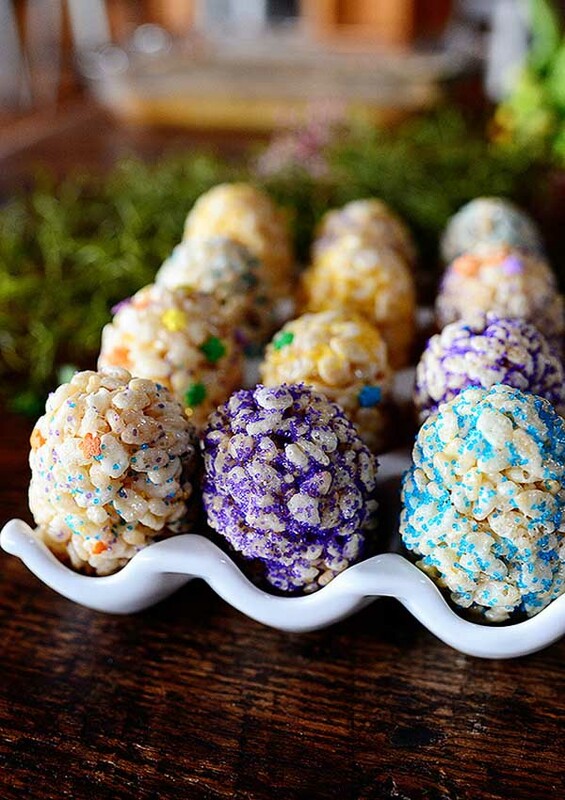 A lovely Crispy Rice Easter Egg Pops will be easier to find. It is coated with white and pink candy. Play with different designs you can choose from. Try this Egg Rice Krispies and munch it after eating dinner with your family. There’s white chocolate to add sweetness to this yummy krispies. A little bit of soft textures comes from the white marshmallows. This cake is amazing. Looking at it on top view you will think that the design is a plant. 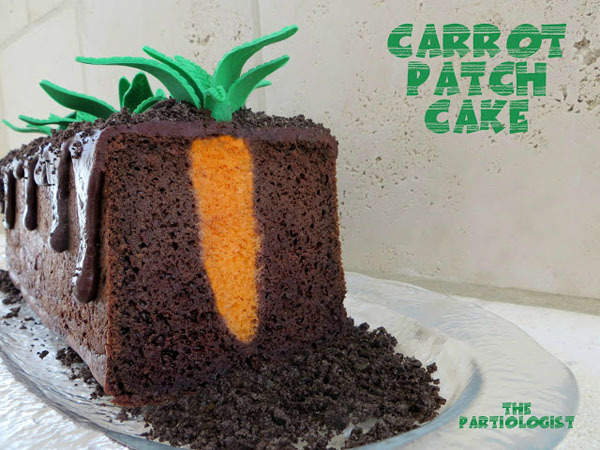 But when you slice the cake you’ll be surprise to see the carrot peeking. 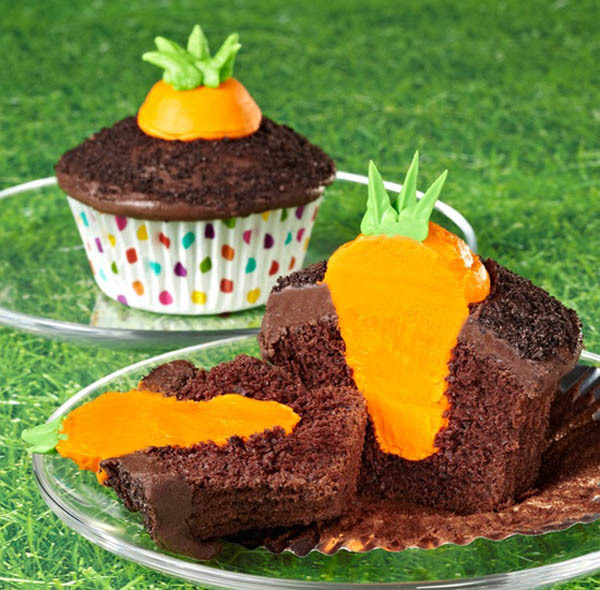 Have a great time eating this chocolate carrot cake. Everybody loves a blueberry cake. 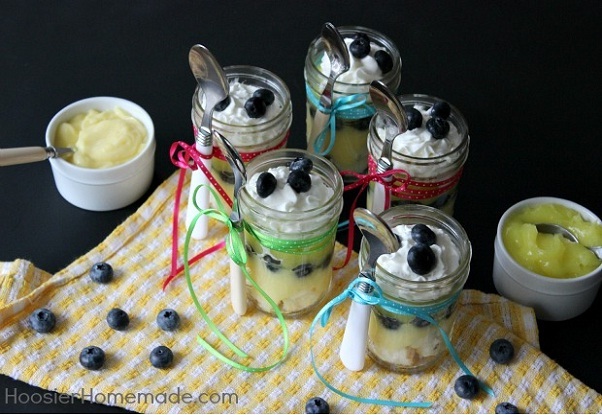 Now they can have it in a jar with Lemon Blueberry Angel Food Cake. So delightfully cool to eat for this Easter. Instead of hunting for eggs that are yet hatch. 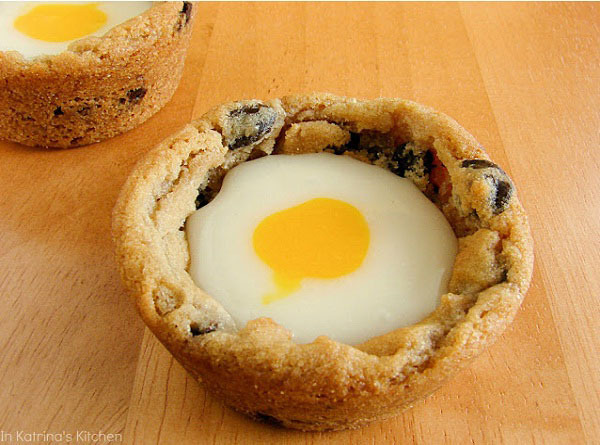 Why not try to look for sweet sunny side up in a basket of Cadburry Cream Cups? It is an unconventional way of hunting but it will definitely satisfy your sweet tooth. Colorful Rice cakes nicely packed and sealed with a ribbon to keep its crunchiness. 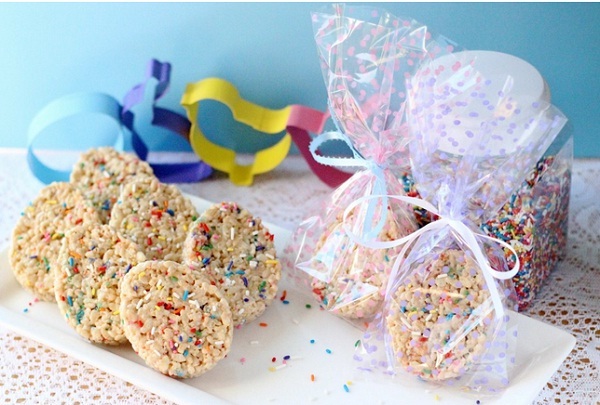 It has vanilla extract that will blend with the sweetness of sprinkle. It is easy to make you can cook more than you can think of. A chocolate cupcake filled with filled with orange filling. It is neatly baked in a nice cup. You’ll love it. This bunny is trap with loads of carrots. It is a bit tricky to bake this cake but it will be worth the hard work.